A mainly sunny sky. High around 80F. Winds SSW at 5 to 10 mph..
Rick Brian Slack passed away on November 28, 2018 after a brief bout with cancer. Rick was born in Alamogordo, New Mexico on April 9, 1955 to Howard Neil Slack and Betty Iris Slack. His family soon moved to California, where he lived the remainder of his life. He is survived by his sisters Sherry Grace of Santa Ynez and Madge Kyler (Jeff) of Oakdale. 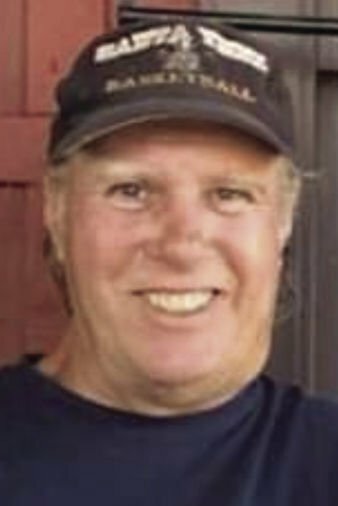 He also leaves behind his nieces Dana Grace of Santa Ynez, Julie Willis (Darren) and family of Rawlins, Wyoming, Cheryl Holbrook of Lancaster, and his nephews Jeff Marles and family of Chico, Randy Marles of San Diego, and Keith Slack of Arizona. He was preceded in death by his parents, his brother Howard Dale Slack and his brother-in-law Thomas Grace. Rick lived most of his early life in Santa Maria. He attended Righetti High School, then Quartz Hill High School in Lancaster, and graduated from Chester High School in Chester, California in 1973. He went on to graduate from Chico State University with a bachelor's degree in Business Administration and a minor in Math. Rick worked for Lockheed Missiles and Space in Sunnyvale and after three years transferred to Lockheed Missiles and Space at Vandenberg AFB during the development of the Challenger Program. At the transition of that program, Rick worked at Santa Barbara Research Center in Goleta until he retired. Rick enjoyed working on and collecting muscle cars from the sixties and seventies. His pride and joy was his silver Camaro. His interests also included Civil War history and WWII history, especially the WWII aircraft, and he was very knowledgeable in those and other areas. He always seemed to have a story to tell or a fun bit of trivia to add to any conversation. Rick was a warm and generous person, never knew a stranger and was friendly to everyone. He genuinely enjoyed spending time with friends and family. He possessed a wonderful sense of humor and would employ many a turn-of-phrase or a joke, which was enjoyed by all who knew him. Rick had a great love of animals and they truly loved him back. He was a faithful friend, brother and uncle who was loved and will be greatly missed by all. A visitation was held at the Ballard Country Church beginning at 10:00 a.m. on December 17, 2018, located at 2465 Baseline Avenue in Ballard. A graveside memorial service followed at 11:00 a.m. at Oak Hill Cemetery, located at 2560 Baseline Avenue in Ballard. The family suggests that any memorial contributions be made to the American Cancer Society or another charity of choice.